Emily received her PhD in Ecology and Evolutionary Biology from Cornell University in 2001 and has been a member of the Duke faculty since 2004. The core of Emily's interests are in watershed biogeochemistry, with most of her current effort invested in understanding how the ways in which people live on and use the landscape alters the structure, function and chemistry of receiving streams and wetlands. 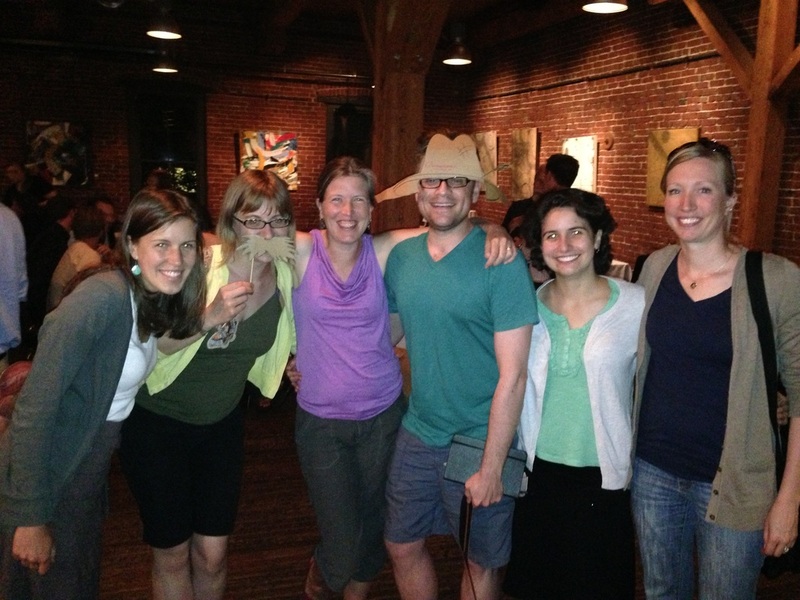 Emily teaches courses in General Ecology, Field Ecology and Biogeochemistry. Brooke has been taking care of our analytical lab and running field campaigns for Duke river folks since 2005. Currently Brooke is the lab manager for the entire Duke River Center. 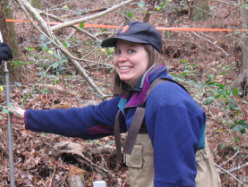 Before beginning work at Duke, Brooke completed a MS degree at the University of Maryland where she studied the impacts of river restoration in the Chesapeake Bay with Margaret Palmer. 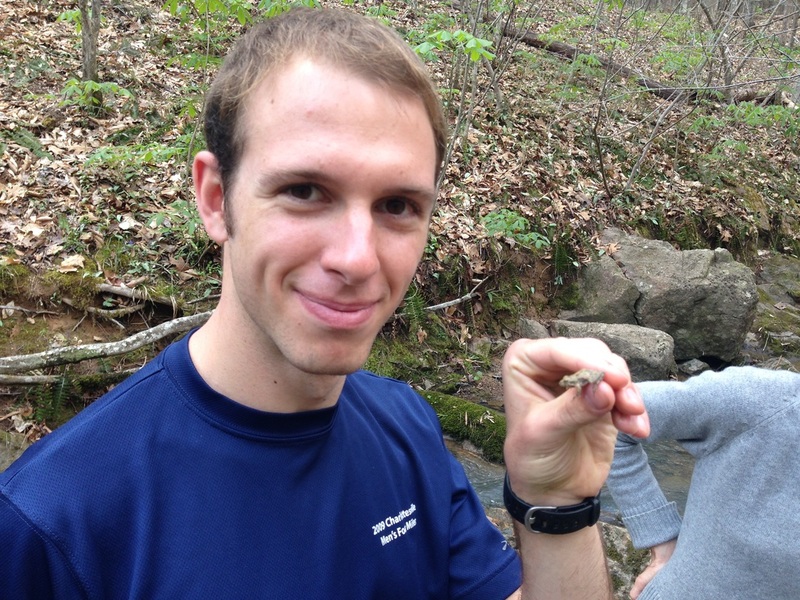 Steve joined the lab in the fall of 2014 after three years of running the Wright lab at Duke. Since receiving a B.S. in environmental biology from SUNY-ESF, Steve has studied species and community response to disturbance (e.g. fire and salinity). He is most interested in studying anthropogenic threats to biodiversity and ecosystem function in just about any context. Steve will bring his expertise in plant ecology to bear in our ongoing nanomaterials and coastal plain research efforts. Jenny earned her PhD in 2015 from Colorado State University where she worked with Matt Wallenstein. She is now hanging out at Duke forcing microbial communities to have show downs in order to understand who wins when chemical regimes collide. Phil Savoy earned his PhD in 2016 from SUNY Buffalo where he worked with Scott Mackay. Phil is bringing his expertise in modeling terrestrial ecosystem phenology into our new efforts to develop dynamic, mechanistic models of aquatic ecosystem metabolism. Ask him about the HaboobNados that regularly strike rivers. Alice joined the lab in August 2016. Alice comes to Duke from two years of work as a research assistant at the Marine Biological Laboratory in Woods Hole. She has been focused on deep ocean trace element cycling, but will now be turning her attention to studying the metabolism of rivers as part of our StreamPULSE project. Alice is co-advised by Jim Heffernan. Jackie joined the lab in August 2016. 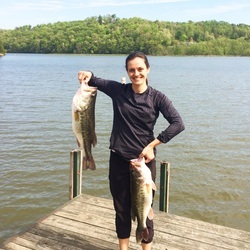 She completed her Masters at Syracuse University where she worked with Charley Driscoll studying mercury dynamics and nutrient cycling in the Adirondacks. Here at Duke, Jackie is interested in the biogeochemistry of trace metals and metalloids generated from both coal and hard rock mining. She studies mercury and selenium interactions from mountaintop mining of coal in West Virginia, and mercury fate and transport from artisanal gold mining in the Peruvian Amazon. Emily joined the lab in August 2016. She received her Masters at the Yale School of Forestry where she worked with Peter Raymond to study the use of oxygen isotopes of phosphate to trace fertilizer runoff in heavily farmed watersheds. She is curious about nutrient cycling and the impacts of various land uses on ecological communities and biogeochemical processes. Emily will begin her doctoral research in conjunction with our Coastal SEES project. Emily is co-advised with Justin Wright. Laura began working as an undergraduate researcher in our lab in 2016, as part of Duke's Huang Fellows program. Laura is a Biology major who is interested in the impacts of land use change on aquatic biodiversity. In summer 2017 she and Jackie will be catching crayfish and spiders and tracking the movement of mercury and selenium down rivers and up food webs downstream of mountaintop removal coal mines. In her first summer Laura was a guest blogger for the Nicholas School, you can read about her first dive into field research here. Audrey is our newest PhD student, joining in August of 2018. She recently graduated from the University of Notre Dame where she worked with Jennifer Tank studying the role of groundwater and the hyporheic zone in agricultural ditch nutrient cycling. At Duke, she is excited to dive in to the Hubbard Brook dataset to piece together the different biogeochemical stories of the historic field site. ​This project examines the impact of mercury from artisanal and small-scale gold mining (ASGM) in Madre de Dios, Peru, a global biodiversity hotspot. ASGM is the largest source of global mercury (Hg) pollution and the leading cause of deforestation in the Peruvian Amazon. ASGM emits large amounts of Hg directly into atmospheric, terrestrial and aquatic ecosystems via burning of mercury-gold amalgams and disposal of mercury-laden tailings. Hg is a potent neurotoxin that impacts human and wildlife health. When Hg enters aquatic systems, it is transported downstream, and the concentration of Hg near mining and downstream should be higher than in upstream areas. However, Duke research in Madre de Dios suggests that average hair Hg concentrations (a standard biomarker of total Hg exposure) in communities more than 150 km upstream of ASGM are 115% that of mining communities and 145% that of downstream communities. These high concentrations upstream of ASGM are also apparent in top predators, as one study has shown elevated mercury concentrations in giant otters (a protected species) within Manu National Park in Peru. Visit our Join the Lab page if you are interested in being a part of our research group. Dr. Kris Voss, PhD 2015, Assistant Professor, Regis University, Denver, CO.
Dr. Ben Colman - former research scientist and postdoctoral associate (2009-2015), currently an assistant professor at University of Montana. Dr. Tim Covino - former postdoctoral associate (2012-2013), currently an assistant professor at Colorado State University. Dr. Ashley Helton - former postdoctoral associate (2010-2013), currently an assistant professor at the University of Connecticut. Dr. Marcelo Ardon - former postdoctoral associate (2007-2011), currently an assistant professor at North Carolina State University. 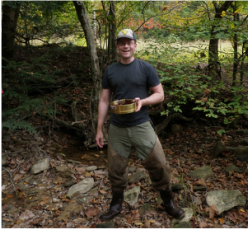 Eric Moore - 2015-2018 - Eric managed the field operations for multiple stream and watershed monitoring stations in both West Virginia and North Carolina as part of our research on mountaintop mining and the StreamPULSE project. Eric is now a PhD student with lab alum Ashley Helton at U Conn.
Adam Haynes - 2017 - field and lab tech for our coastal salinization and StreamPULSE projects (with a small serving of mountaintop mining work). Adam left us to begin a MS degree with Ashley Helton at U Conn.
Christina Bergeman - 2016-2017, field and lab tech for our nanomaterials and coastal salinization projects. Christina is now a research technician in Joel Meyer's lab in the Nicholas School of the Environment. Erin Vanderjeudt - 2016-2017, field tech on our urban stream and StreamPULSE projects. Erin is now working as a technician at WHOI. Andrew Pericak - 2016 geospatial analysis wizard working with our lab, SkyTruth and Google Earth Engine to develop annualized estimates of mountaintop mining in Appalachia. Currently working for Duke's Science and Society Collaboratory. 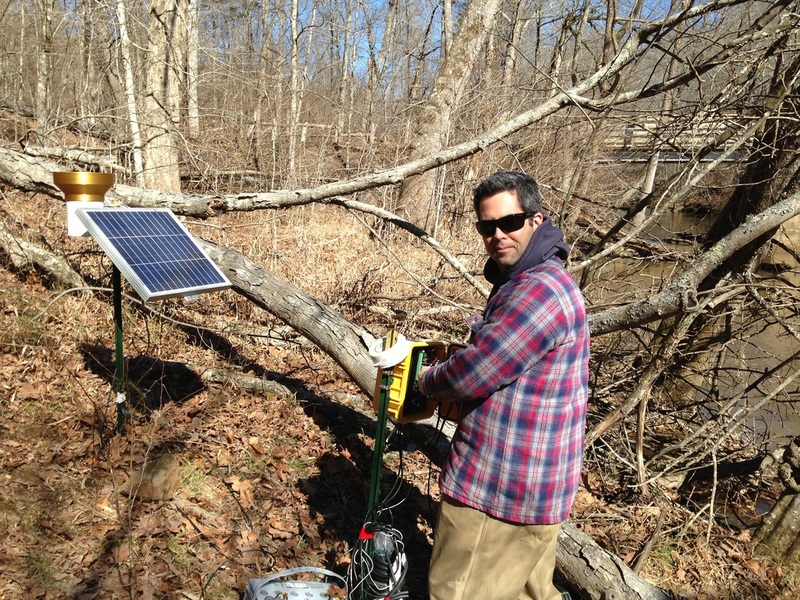 Joseph Delesantro - 2013-2016 field technician managing our urban streams NSF grant. Joseph is now a PhD student at UNC CH. Ethan Baruch - 2015-2016 field and lab technician for both our coastal salinization and nanomaterials impact research efforts. Ethan began a PhD program in John Sabo's lab at ASU in fall 2016. Anna Fedders - Former project manager for coastal wetland work 2012-2013, and nanomaterials research (2013-2014). Anna began an engineering degree program at U. Illinois in Fall 2014. Jill Greiner - former FACE project research technician, currently the Water Conservation Coordinator for the city of Charlottesville, VA.
Marcelo Ardon and Jen Morse during an early expedition to the Timberlake field site. 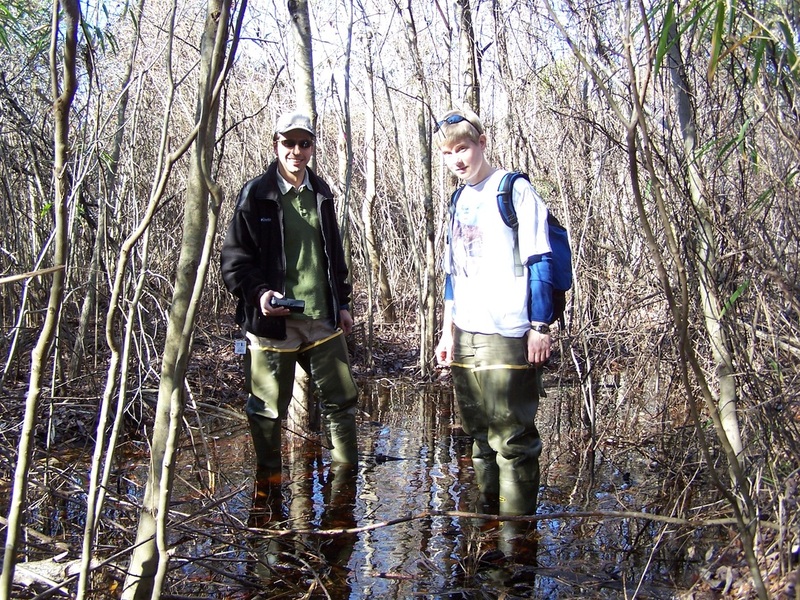 Christina Bergeman collecting water samples in a cypress swamp on the NC coastal plain. Alison and Emily celebrate at the 2012 PhD hooding ceremony.